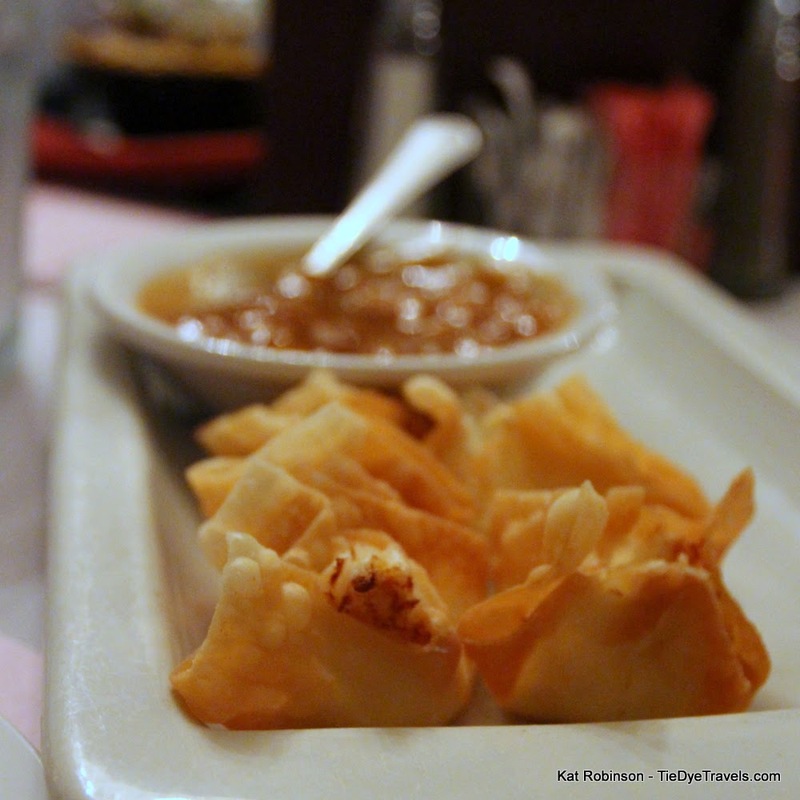 Pine Bluff has seen its share of great eateries. Today, few continue to stand the test of time, and of those few the venerable Colonial Steak House stands out. Learn about the history of this beloved restaurant close to downtown, which still draws in generations of guests. home to a long-running restaurant. 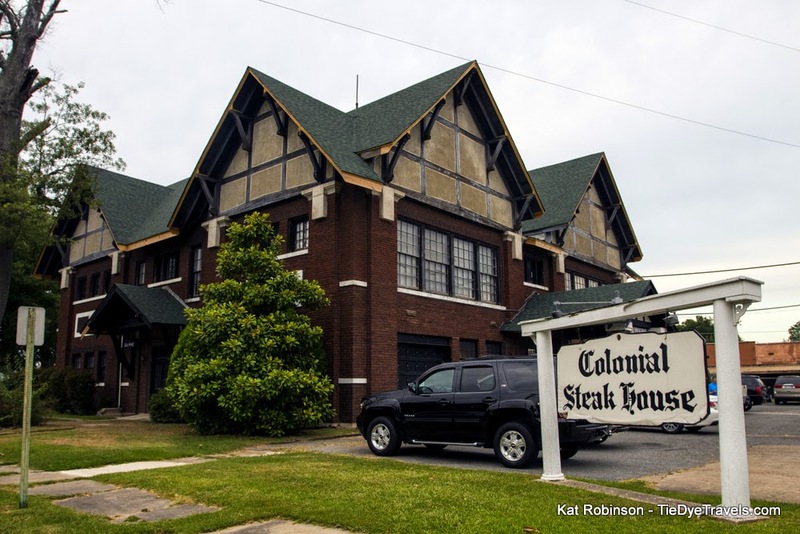 Colonial Steakhouse actually started out in an antebellum home at the corner of 5th and Beech, not too far away. It was the creation of a lady by the name of Mildred Compton, who opened it on August 10, 1973. She sold it to Scott Mouser, a 22-year old local resident whose mom had once worked at the school housed in the current location. After a fire destroyed the old house on Beech in 1987, Mouser purchased the demolition rights for the 8th and Pine property and set about renovating. He moved the restaurant into the first floor and leased out the second level for mortgage offices and such, and he still owns the building today. Mouser sold the restaurant to Joe and Donna Coker in 1993. Coker took on a restaurant that had long established itself as a hub for the community, a place where families came for every important life event. On June 3, 2014, he sold the restaurant to Dana and Wayne Gateley. 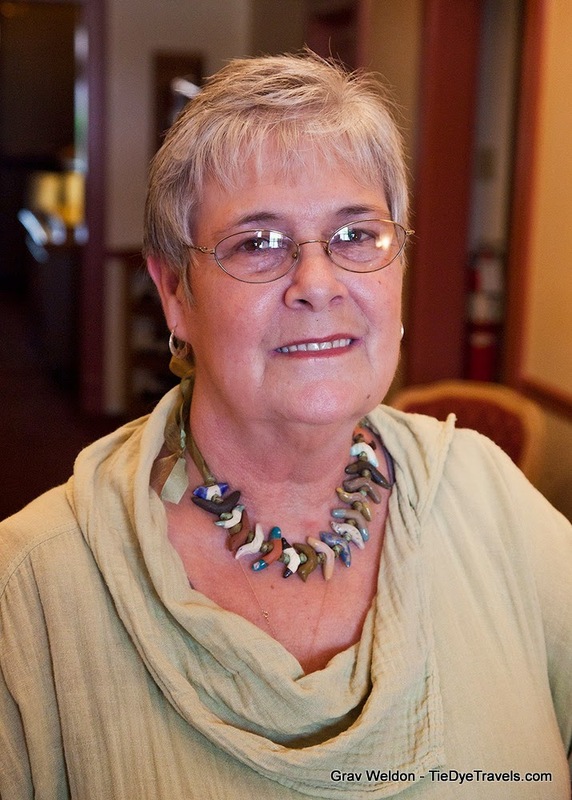 Dana has been a waitress at Colonial Steakhouse for more than a quarter century. 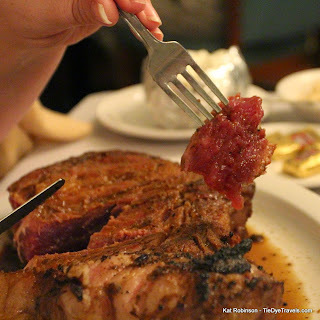 “The steakhouse has an amazing legacy of support,” Dana told me when we chatted in early August 2014. “I have been brought to tears more times in the past month. Business people have come out in support, asking ‘what we can do for you,’ ‘how can we help?’ Scott Mouser himself has gone to great expense to improve the building – the city has very strong restraints – and the eyes of the state and the nation are on us. We have been fortunate – Scott has made sure all the problems have been addressed and the building has been kept up to date. “We have the most amazing support, and we see the third generation of the same families. We do their prom and their engagement party and their wedding reception. The kids come in the first time in high chairs and we see them through graduation and their wedding receptions." 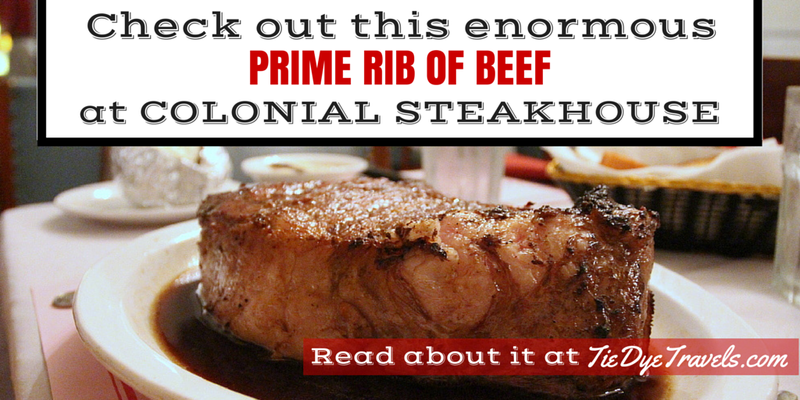 Colonial Steakhouse has an interesting business model. It’s only open for dinner Tuesday through Saturday nights, and they never advertise for hires, since family members of staff come in when extra bodies are needed. Many members of the staff have other jobs as well. Some employees have been there 40 years, and there have even been three generations of the same family working there at the same time. “I went there as a favor to Scott and his wife,” Dana shares, “they needed a waitress and I had owned a Baskin Robbins and I had no idea what I would do next after my kids graduated. I said I would help, and that’s been some 20 years ago. I do work a day job, Scott owns the hunting club and a farm and his wife owns a pre-K through 5th grade school. Joe (Coker) is a vendor for Ben E. Keith, his wife is chairman of the math department at White Hall Schools. When the Gateleys bought the eatery, Wayne Gateley asked if they should start taking reservations. The entire staff said no. “We can’t tell a customer we’re sorry, we’re booked. They each have a special table, a special day of the week they come in. They would never understand that they’d need a reservation because it’s their restaurant. It’s not just who eats there that defines the place. 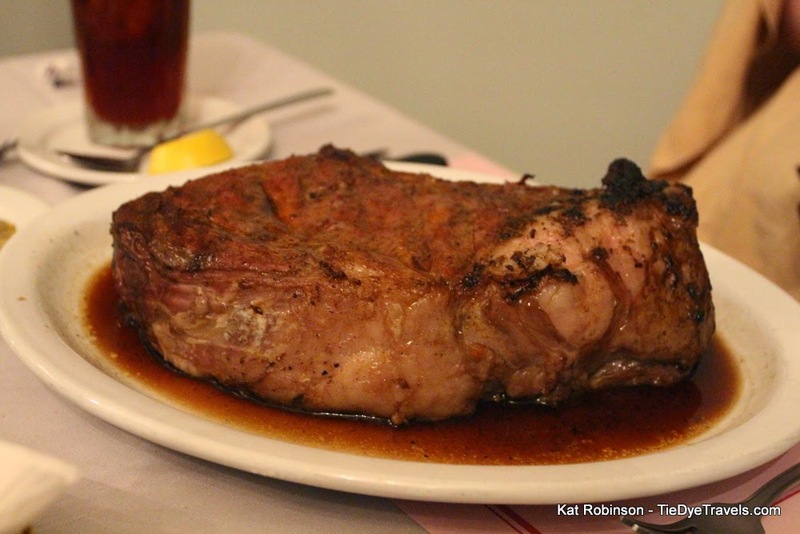 Colonial Steakhouse’s menu has been knit together from the recommendations of its patrons and the suggestions of its staff. Veronica Scarver, who started working there when she was just 14 years old, is responsible for the famed black bottom pie; her mother Linda came up with the famous Cotton Blossoms with apricot brandy sauce and the signature au gratin potatoes; her aunt Helen conjured the idea for the fresh cut salad bar. Dana Gately has kept most of the recipes, adding lump crab cakes from Phillips Seafood in Baltimore and a dish of shrimp scampi over fettuccine. Those big steaks, though, will remain. 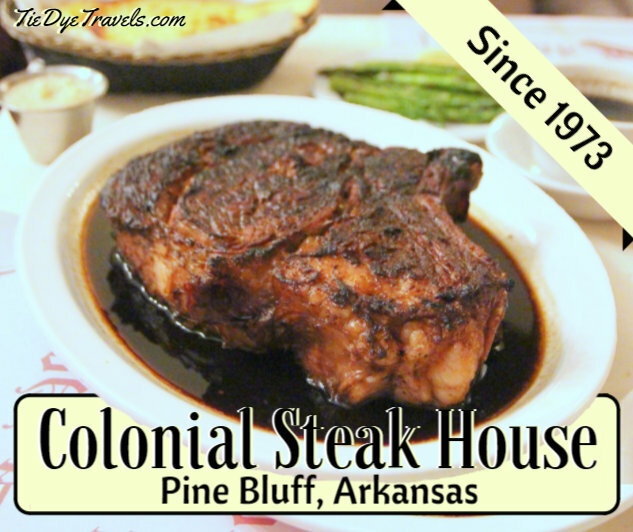 “We went for maybe our third or fourth anniversary back in the 1970s, my first time to Colonial Steakhouse. Someone told me ‘you have to have the prime rib.’ I’m not much of a prime rib eater, but I did and then I was just onto it. It was a point where we were young and just starting out and it was two meals – and you had the other half the next day with carrots and potatoes and called it a roast. “Other restaurants take that standing seven bone rib… they take the rib out, cook the meat and then slice it and get 20 steaks out of it. We slice it into seven steaks and cook it directly over the fire. We don’t pre-bake and slice it. That’s why it doesn’t have the leathery texture of most prime ribs. 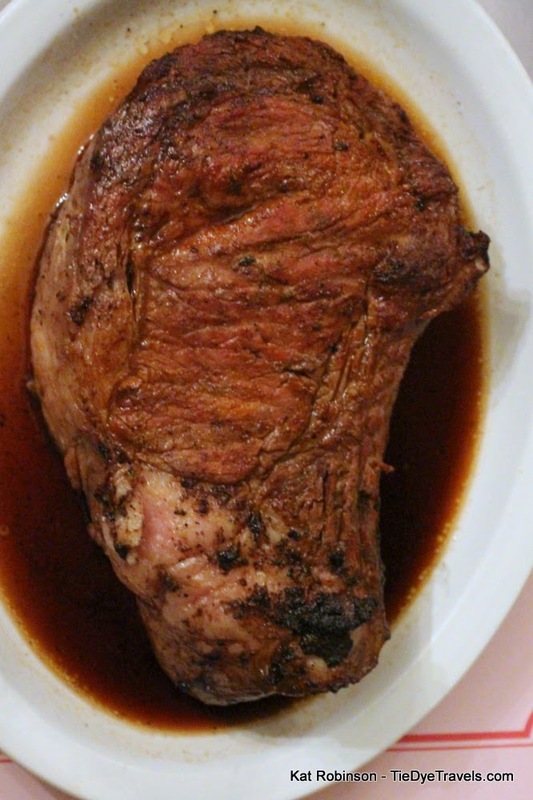 And it becamse one of the signature dishes, the Roast Prime of Beef, the monster. Business people come in and they say to their clients ‘there’s not that much of it but it’s really good’ and we bring it out on a chain, dragging it from the kitchen,” Dana chuckles. I’ve been privy to that experience. On one visit we ordered Cotton Blossoms and French onion soup and salad and bread and reserved some black bottom pie, and then out came my Roast Prime of Beef. Someone at another table actually whistled. The internet, at least what was connected to my social media channels, blew up for a while over the enormity of it. Speaking of the internet, Dana Gateley is savvy to what customers are doing these days. When her staff spots someone photographing their food with a cell phone -- especially the Roast Prime of Rib -- she'll take a dollar off their bill. "If they're taking photos of my food," she says, "that's free advertising. Who wouldn't want that?" 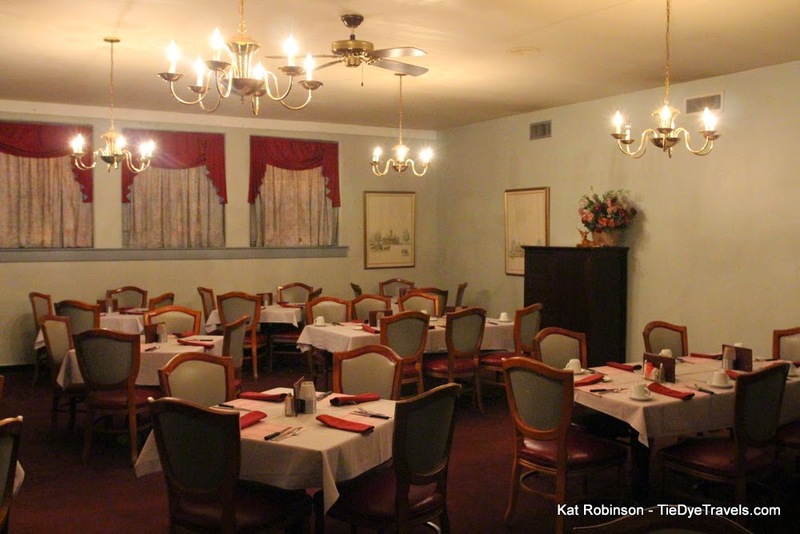 The Gateleys have made a few other recent changes, redecorating the restaurant to a Tuscan theme. 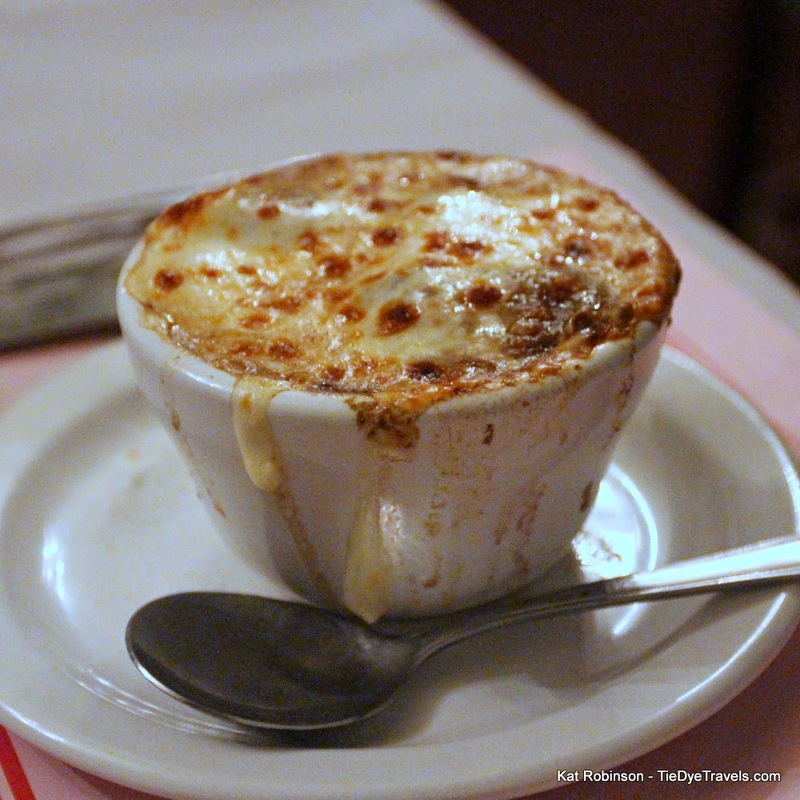 They’re leaving one room that will soon be decked out in photography of the city’s restaurant past, a museum full of nostalgia for those generational customers who even still keep coming back. Dana Gateley understands the restaurant’s importance. 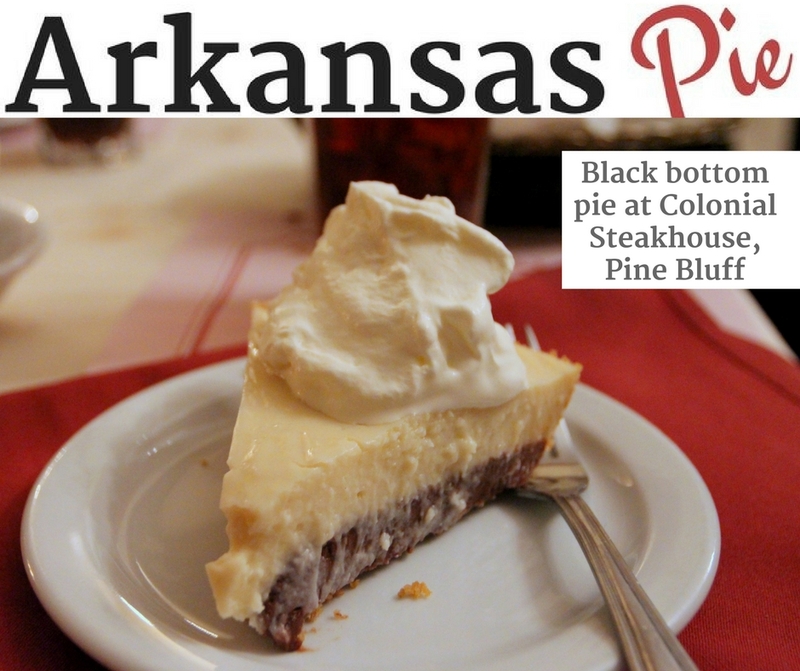 Two tips: Colonial Steakhouse is one of the very few places in the state that offers Black Bottom pie. This very rich, deeply boozy pie is substantial and a favorite of mine. I suggest taking half your steak home and sharing this pie with your companion. 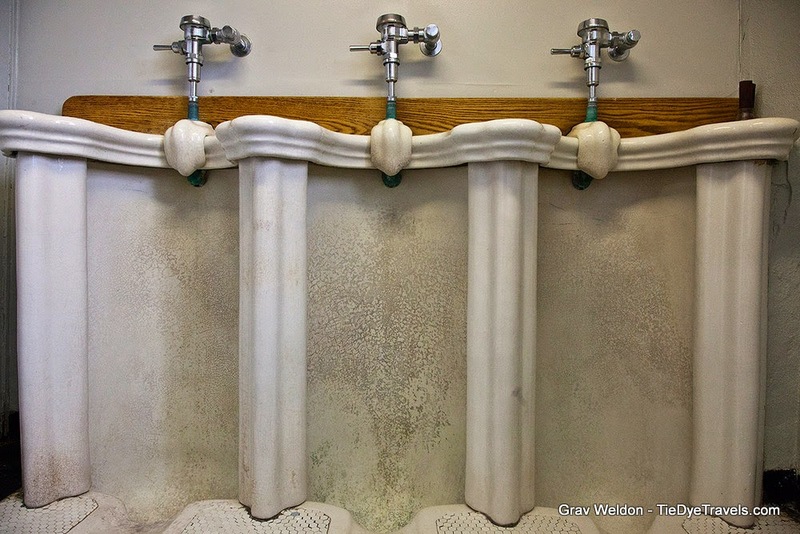 And... sorry, ladies, but unless you're brave enough to head into the mens room, this is the only chance you're going to get to see the massive, singularly amazing Roman-style urinal. Grav was kind enough to make sure you got this glimpse. UPDATE: Grav and I went back for dinner in November 2016, and have revived this piece with fresh photography. 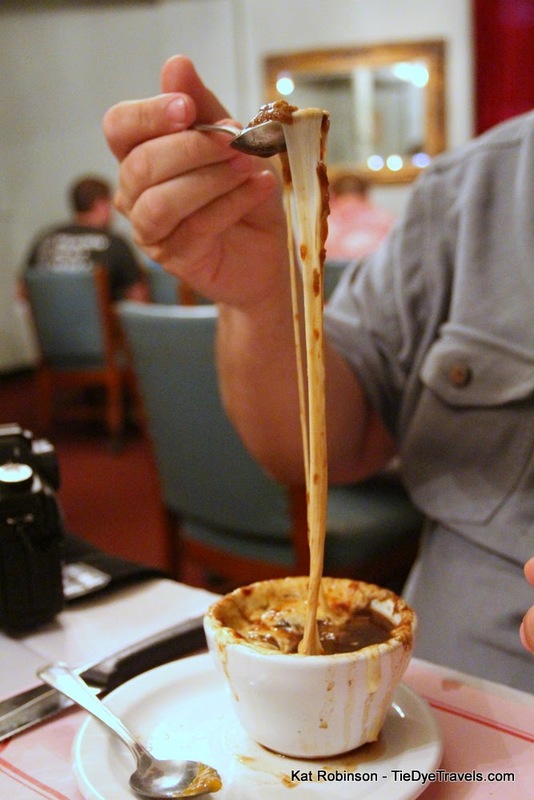 If you like this story, you're going to love Classic Eateries of the Arkansas Delta. Click here to order. I'm relatively new to Arkansas. I love all the history here and this place looks great! Can't wait to plan a visit soon!